These books are real summer relax books. 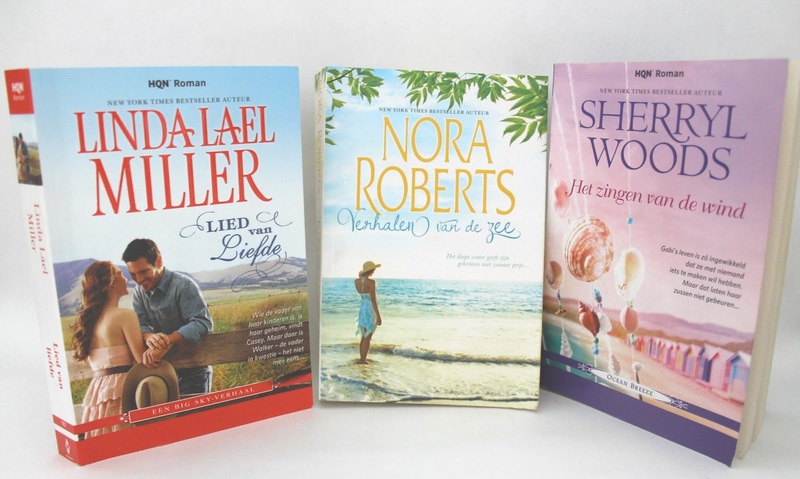 Before I start: these books are translated to Dutch. So the titles on the covers of the books are Dutch but I’m giving you the original titles so you can find the books if you want to read them too. 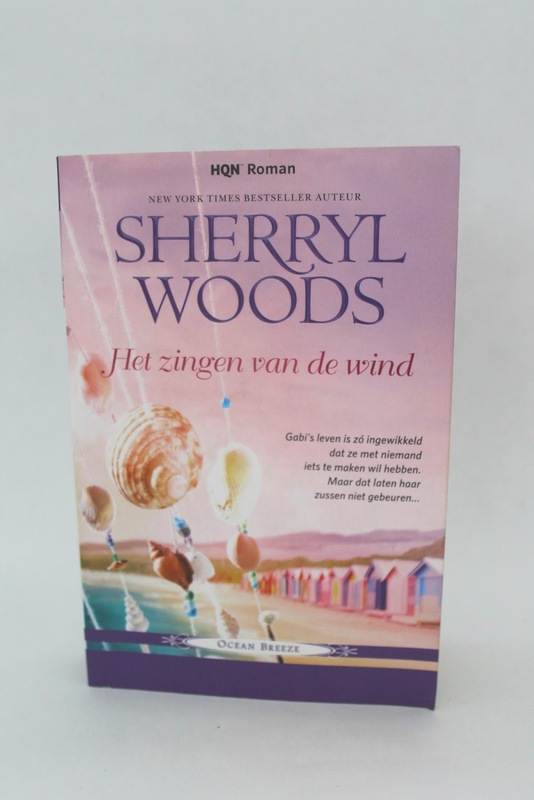 The first book is written by Sherryl Woods: Wind Chime Point. This book was the book I read the last. And I must say, it looked lovely: the purple cover with those shells. And the summary on the back also looked like a good story to read for summer holidays. But I was a bit disappointed. I love how Sherryl Woods describes Sand Castle Bay. It’s so real for my imagination. But the story is a little bit boring. Not much happens. And when I feel a little bit of excitement because it was made clear to me that Wade, the man who is in in love with Gabi, wasn’t telling her his whole story. So I was like... ooh what’s going to happen. And then I read for two more pages and the secret was revealed. It was also that after 180 pages I felt like finally something was happening. I love the Sherryl Woods describes the love of the sisters. But not much happens. I hoped for more... Even though it is not bad to read. But I like it to get a little challenged or thrilled while reading. 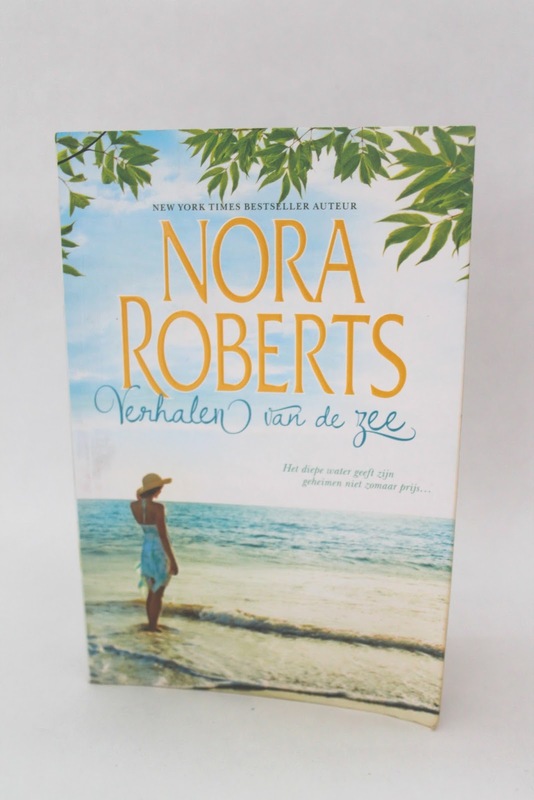 The next writer I’m going to talk about is Nora Robberts. This books has two books in it. Surprise for me!! I didn’t know! So I could read two stories instead of one which made me really happy. The first book is called Risky Business. A man that worked for Liz is murdered. The twin-brother of the murdered man is coming to find out who the murderer is. He suspects Liz but in the end they fall in love with each other and the there is a huge plot twist. I totally didn’t expect that! The second book is called Treasures Lost, Treasures Found. The father of Kate died and left loads of unfinished paperwork behind about an English ship that sunk in a storm around 1750 when it was on its way to America. To end her father’s work she is going to the island where her father thinks the ship might be and she tries to find the ship. The only thing is, that she has to ask for help because she has to dive into the sea. The man that can help her is a man she once loved but she walked away from him because he couldn’t promise her a good future. These two books look a lot like each other. Because scuba diving is a very important subject in both of the books. Both main characters go scuba diving and it’s the main cause of both problems of the main characters in the books. One person gets murdered while scuba diving. The other one comes in great danger and also finds back her true love. The way Nora Robberts described the scuba diving made me living the moments with them. The things they saw, the excitement, the pain. The first book had a very cool plot twist about who the murderer was. I loved how I thought it was someone else and in the end it’s not the one I thought it would be. The second book had a fairy tale end. But I loved it too. 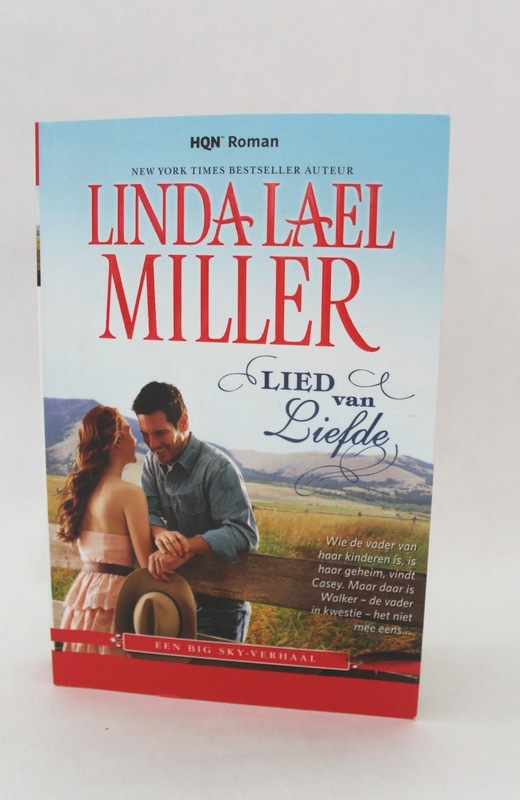 Now my favourite book of these four books: Linda Lael Miller with her book Big Sky Summer. I’m so in love with this book. I loved it from page number one. It is a cowboy/love story. And the way it was written really brought Parable, where they lived, alive for me. It was so wonderful written. The story is about Walker Parrish was a good looking man with a huge secret. He is the father of the two children of the famous country singer Casey. And Casey moves after years of touring back to Parable. And of course Walker loves to hang out with the children and because of a lot of happenings it comes out to press that Walker is the father of Casey’s children. Their children react their own way to the news which is very interesting to read because they didn’t knew Walker was their dad. Also, barely two weeks later I watched to movie ’The Longest ride’ and now I can’t help but picture every cowboy like how Scot Eastwood is playing Luke Collins in the movie. That made this book so much better for me. And it made want to go horse riding even though horses scare me. As you can see these three books were taking me to dreamy places and I did enjoy reading the books. One more than the other but that’s because of my own expectations of a book. I do recommend these books to you.